I first tasted this tart at the Bottega del Pane in Padua and knew it was worthy of recreation in my own kitchen, with a little liberty, of course. The recipe makes enough for one ten-inch tart with enough pastry dough left over to fill a small seven-inch tart shell that can be frozen for future use. Cut this tart into small pieces as it is very rich. Makes one 10 inch tart and one 7-inch tart shell. In a food processor or large bowl,combine the flour, sugar, and salt. Add the butter and pulse or cut in with a pastry blender. Pulse or blend in the egg and water until a ball of dough begins to form. The dough should be soft, not dry and not crumble when pressed between your fingers. Gather the dough up into a ball and set aside. Overlap two sheets of wax paper on a counter and lightly sprinkle with flour. Place the dough on top of the flour. Sprinkle a teaspoon of flour over the top of the dough and spread it evenly over the top. Cover the dough with another two sheets of overlapping wax paper, and with a rolling pin roll the dough out to a twelve inch circle. Fit the dough in the tart shell letting the excess hang over the sides. Trim the edges even with the rim of the tart pan. Gather up the extra dough and roll it out to fit a 7-inch tart shell.Freeze for future use. In a large bowl, mix the coconut,flour, sugar, egg whites, almond extract, chopped almonds, and chocolate together until well blended. Spread the mixture evenly into the tart shell. Bake the tart for about 30 minutes or until the coconut is golden brown. Remove the tart to a cooling rack to cool completely. Carefully remove the tart from the tart pan and place on a serving dish. Cut into thin wedges to serve. 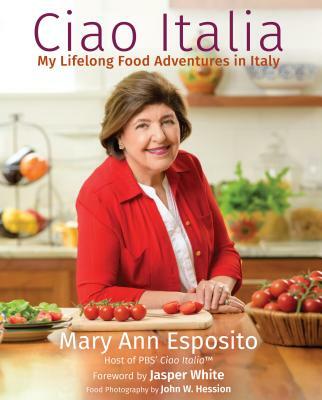 This recipe is from BRINGING ITALY HOME by Mary Ann Esposito.